by Vikki Hansen & Shawn Goodman | Audiobooks | This book has not been rated. 1997. Contains 4 x Double sided cassette tapes.How so naturally thin people stay so slim? Face it. Diets don't work. All they do is create a chronic cycle of weight loss and gain that's nearly impossible to escape. But you don't have to be fat and unhappy forever. 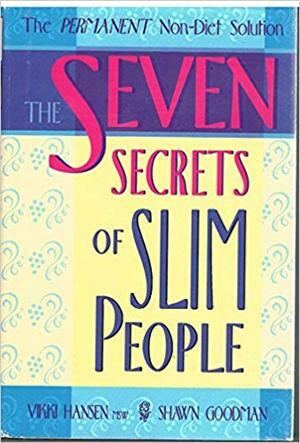 Now, at last, here's a long term, lifetime solution you can count on--an inspirational, step-by-step plan that will help you achieve total health and your ideal body weight. Sound too good to be true? It's not! By following these seven secrets, you will take control of your eating habits and change your life forever. With this groundbreaking, time-tested program you'll get a new taste of freedom--the freedom to look and feel great " without" giving up the foods you love. You've got nothing to lose...except the weight. Start today!